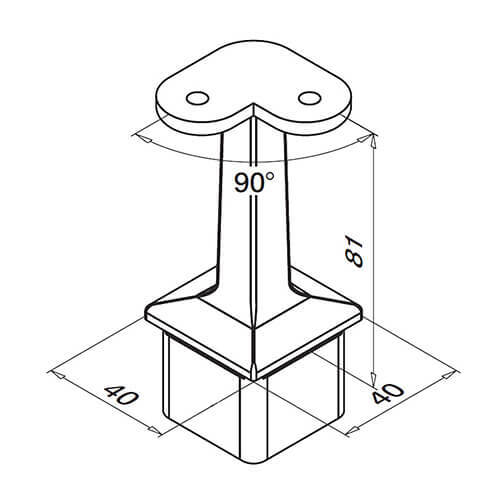 Corner handrail saddle with flat support for flush fixing into 40mm x 40mm tube. To fit 40mm x 40mm profile stainless steel tube. High strength stainless steel Adhesive required. 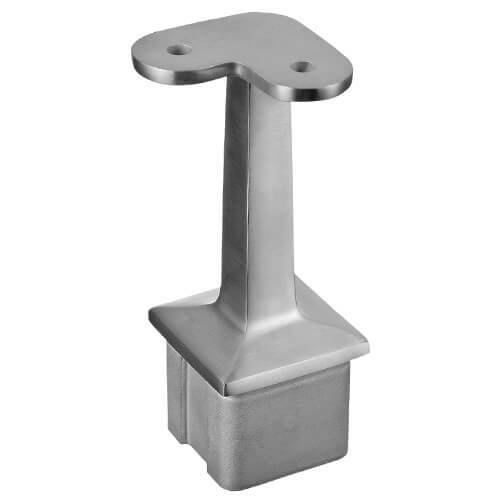 Stainless steel handrail saddle with 90 degree angle support, designed for mounting into upright square tube baluster posts. 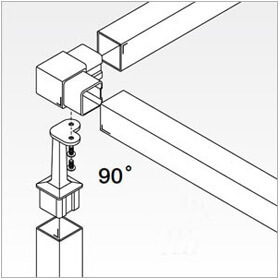 90° flat support ideal for timber or flat profile handrail sections. Manufactured in 304 (interior) or 316 (exterior) grade stainless steel and finished in a high quality brushed satin. Fits flush into 40mm x 40mm profile tube with the use of a high strength stainless steel adhesive.